Is It Worth Buying A PlayStation Plus Subscription If You Don’t Play Online Multiplayer? I remember when the PS4 was first released and it was announced that you would have to pay for a PlayStation Plus subscription. One of the main reasons I bought a PS3 over an Xbox 360 was that it was free to play online. I mocked my friends with their yearly subscriptions to Xbox Live but now we’re all in the same boat. Most people have already got a subscription by now but not everybody does. People that aren’t into online gaming often bypass it because they don’t want to pay $60 for something that they aren’t really going to use. But there is more to your subscription than just playing online games. So, is it worth picking up, even if you don’t like online games? Quite a few games have fallen into a pretty annoying habit of forcing you to be connected to online gaming, even if you just want to play the single player. When I first bought For Honour, the servers were so terrible that I couldn’t get a game online, no matter how long I waited. I’d just shelled out for a brand new game and I couldn’t play it, so I thought I’d at least have a go on the single player campaign while I waited for Ubisoft to fix the servers. Unfortunately, I found that I couldn’t even get to the main menu without being connected to online gaming. More developers are doing this nowadays and it can be a real pain if you get a game home and realize that you simply can’t play it without a subscription to PlayStation Plus. Even if you aren’t going to use your subscription for online gaming, it’s worth paying the $60 for the free games that you get each month. $60 is the price of one brand new game but you’ll get at least 3 a month for that if you subscribe to PlayStation Plus. You aren’t going to get brand new games and they aren’t always the best but overall, you’ll get some great stuff. Recently they’ve handed out games like Just Cause 3, Infamous: Second Son, and Metal Gear Solid V. Even though they’ve been out for a while, buying all of them new is going to cost you more than the yearly subscription fee of $60. As well as all of the free games that you can get, there are regular sales where you can buy things at a way cheaper rate. Having said that, if you don’t buy games that often and you’re content with just having a few, there might be a better way. Sites like G2A sell cheap game keys and bundles so if you’re only buying a couple of titles a year, that’ll probably be cheaper than a subscription. You might be wondering, is G2A a legit and safe place to buy game keys? It is legitimate but there are still some risks. Occasionally, the keys that you buy will have been stolen by hackers but it’s incredibly rare. The bundles that they put together are all safe and the perfect way to get loads of great games for next to nothing. Another thing that annoyed me a little when I first got my PS4 was lack of back compatibility. My PS3 had recently broken so I ended up with a load of great games that I couldn’t play again. If you’re luckier than me and your PS3 has survived, your subscription works on there as well. It also works on your PS Vita if you have one. That means that you not only get free games on your PS4, but you get it for those other two consoles as well. If you’ve got all three you could end up getting about 8 free games every single month. Not bad for $60, right? Every time a new console comes out I tell myself that I’m going to wait a while before I buy one. Sony always release an upgraded version of the console, like the PS4 pro, so I’ll wait until that comes out and get that instead because it’ll have better specs for the same price. That lasts about a week before I get jealous of all of my friends playing and buy the original. What that usually means is that my PS4 doesn’t have a huge amount of storage. Games are getting bigger and people are buying more digital downloads so hard drive space is getting to be a bit of an issue. PlayStation Plus gives you online storage so you don’t have to go through deleting stuff to make space every time you want a new game. 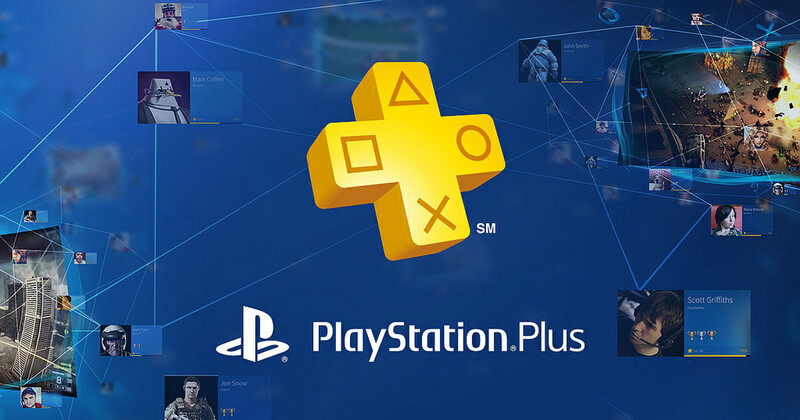 Don’t be fooled into thinking that PlayStation Plus is just for multiplayer online. I was against the idea of paying at first but I’ve been converted. With all the free games and the online storage, it pays for itself in a couple of months.